Bob and Geri Boyd are the knowledgeable and cordial hosts of the radio program,”Issues in Education,” which is aired on stations nation wide. The Boyds’ send me vital information from time to time along with very funny things that give me my morning chuckle. This was in the Wall Street Journal and something most Folks don’t know. This man’s wife died and he was shocked by the unknown rules. Issue one: When we opened our own checking and savings accounts, we never named beneficiaries. He had assumed, incorrectly, that our accounts would simply transfer to the other in case of death. The banker who opened the accounts never suggested otherwise. With a named beneficiary, her accounts would have simply been folded into mine. Instead, I had to hire a lawyer – at $ 465 an hour – to petition the court to name me as the executor of her estate. I needed this power to transfer her accounts. Filing costs in New York city for the necessary document was $ 1, 286.00 The running bill for the lawyer stands at $ 7,402. 00 and I expect it to rise. He also needed the documents for the companies that managed her retirement accounts and a mutual fund, because, as at the bank, we never named a beneficiary. By the way, this paperwork also required signature guarantees or a notary seal, which can take up an afternoon. Issue Two: The highly charged question regarding funeral and burial. Last summer when he was told his wife would not survive her illness, he tried to raise the issue of burial with her. 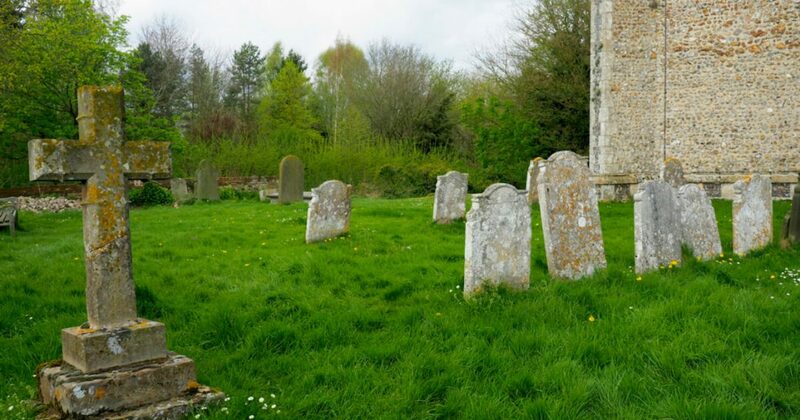 She refused to have the conversation, but he quietly went ahead and purchased a plot of graves in the cemetery in Wisconsin where his parents, grandparents and great-grandparents are buried. That was something he actually did right. I had to employ two funeral homes – one in New York and one in Wisconsin – for her body to make the journey out there. All told, he spent $ 46,359 to cover funeral expenses, graves, transportation, a headstone and a basic casket. You don’t want to have to make this decision at the time someone close to you dies. You simply will not be thinking straight. Issue Three : Their health insurance plan covered the long hospital stays and doctors visits. However, shortly after his wife died, he still received bills, even though their deductibles and copay had long since been covered. HE PAID THEM IMMEDIATELY , WHICH WAS A MISTAKE ! He was incorrectly billed and he has been fighting the hospitals and insurance company since January to get a refund, even though everyone agrees the bills were incorrect. Before you pay any medical bills, make a simple call and determine their legitimacy. Mistakes are constant: The systems are so complicated, even people in these offices don’t always understand the intricacies. Issue Four : His wife had two life insurance policies – one through her work and the other we purchased privately. The former was handled quickly and efficiently by her job and a check arrived almost immediately. Although the insurance company sent me a check for her private policy soon after her death, it took three months of constant calls and emails to determine a refund of the premium he had already paid for three months past her death. He kept getting wrong information from the company, because the people he dealt with didn’t understand it themselves. Issue Five : Over the coarse of his wife’s working life- from her first job at a fast food restaurant to medicine-she paid more than $100,000 to Social Security. Since she died at age 60, and their19 year old daughter is one year past the age of receiving a monthly benefit, all the money has simply disappeared into the lockbox in Washington. Nothing we can do about this one. Finally, there is the major psychological trauma of grief. Most people believe death will never intrude on their lives and when it does, we will be so old and decrepit that it won’t much matter. Trust him on this, – even when its been expected for a while, it still shocks deeply. There is absolutely no way you can prepare yourself for the shattering heartbreak of loss. When it did come to him, he found the support of friends, family and faith to be invaluable. Be sure to check the website above for the Issues-in-Education Newsletter. It is up to date with truthful news. Mr. Boyd is such a good writer we have suggested that he should write a syndicated column.